Kalighat Pata (patachitro) is an interesting example of how a rural folk art form reinvents itself in an urban milieu. It flourished vigorously in a semi-urban setting around the temple area of Kalighat in the early decades of the nineteenth century and lasted for only a century. The area around a Kali temple founded in south Kolkata towards the end of the eighteenth century came to be known as Kalighat. With the rapid expansion of Calcutta as British India’s capital, the temple became an important destination for pilgrims, drawing a large number of devotees throughout the year. The commercial bustle that built up around this area also attracted rural artisans and farmers, in search of a better livelihood. Among them were the patuas (painters’ community) who came from different districts of Bengal like Bardhaman, Nadia, Birbhum, Bankura and Medinipur. Kalighat Pata (patachitro, patachitra) is an interesting example of how a rural folk art form reinvents itself in an urban milieu. It flourished vigorously in a semi-urban setting around the temple area of Kalighat in the early decades of the nineteenth century and lasted for only a century. With their natural predilection towards depicting mythological figures, the great majority of Kalighat patachitras dealt with gods, goddesses and heroic figures from the epics. But the forces of economics and the speedy marketability of their products among the floating population of pilgrims resulted in the patuas moving away from the traditional jodano pot (scrolls). Instead, they painted on chouko (square or rectangular) pot, which were popular in Birbhum district. These were faster to make and more easily marketed than the longer (or wider) jodano pot which traditionally had to be accompanied by a narrative song. Thus square pot paintings on cheap and thin sheets of paper, usually of goddess Kali, became the standard memento quickly picked up by the devotees visiting the temple, for as little as an anna or a pice. But gradually, mythological and religious themes of these pots gave way to themes of topical and social interest - the decadent culture of the nouveau riche (the foppish babu culture), their sexual exploits, the hypocrisy of the priests, and even events like a man fighting a tiger and so on. 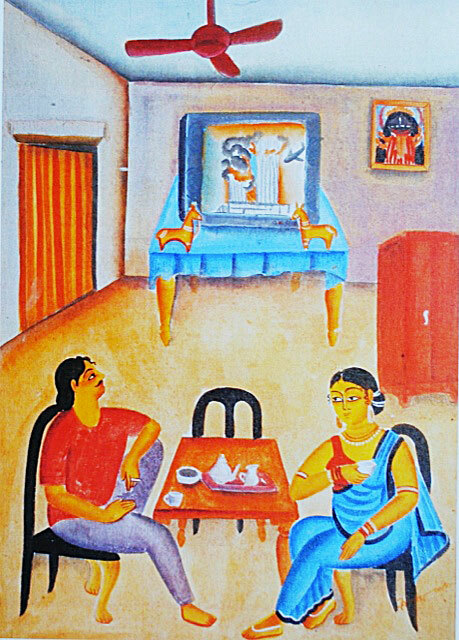 Kalighat pot thus emerged as a major vehicle of social satire. Uprooted from their agrarian community these patuas keenly observed with an outsiders’ perspective the follies and foibles of urban social life and with a grim sense of humour, the urban folk artists painted the spirit of the time. Thus it was possibly the first secular school of painting in India and was a mirror to the world of 19th century Calcutta. The Kalighat patuas also excelled in the depiction of animals and birds inspired by Mughal miniatures.The new pots drawn by these folk artists in Kalighat were different in theme and technique from their traditional counterparts. Using a minimalist style, they expertly thematised a narrative, whether religious or the contemporary Tarakeswar scandal. 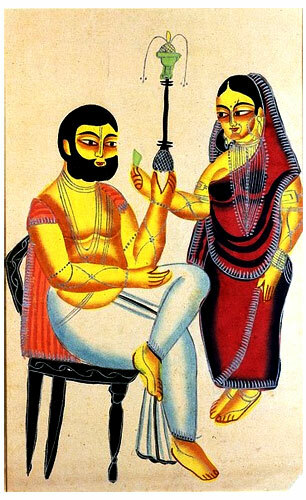 The Kalighat artists painted on paper instead of cloth used by traditional rural potuas. Cheap mill made paper, a few brushes and inexpensive natural colour were all they could afford. Unlike traditional pots where the figures were flat, the urban patuas used shades to give their figures a depth which could not be found in traditional pots. At the same time instead of angles they used curves to draw human figures which gave these figures a rounded shape which these artists cleverly used for satirical purposes. They adapted stylistic features like the plain background left empty, possibly influenced by popular English portrait prints (space in traditional painting never being left empty). Their highly stylised painting was characterised by sweeping brush lines, bold colours, and simplification of forms. The designs and ornamentation on the body and garments of the figures were initially created by silver lines and then replaced with strokes of natural colours.  Most of the patuas remained anonymous. There were never any signatures on the paintings or records to indicate names of artists, as there would often be more than one potua involved in completing a painting. However, in the wake of competition in the form of cheap German lithographed copies of these paintings on glazed paper and garish colours, flooding the market, forced the extinction of the Kalighat style. 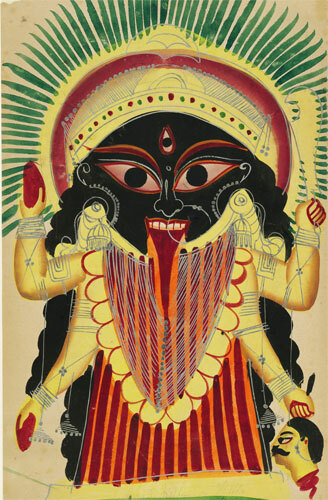 The Kalighat patuas tried to fight back by simplifying even further (and therefore reducing costs) and even creating black and white drawings – but they eventually lost. By the third decade of the twentieth century, these paintings had become merely a collector’s item. 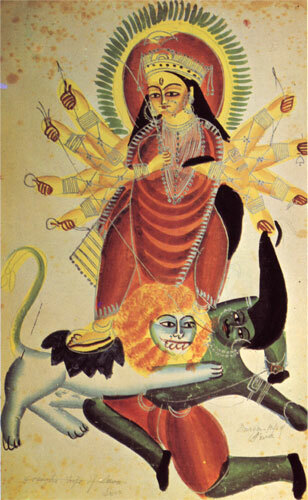 Many of the original Kalighat patas are now preserved in the Victoria and Albert Museum in London and some in the Prague Museum in the Czech Republic. In recent times, Kalam Patua, born into a family of scroll painters, has been credited with reinventing the lost art of Kalighat Patachitra. His work is strikingly here and now. If the original genre poked fun at the westernised or nouveau riche Bengali, it is middle class double standards in Kalam Patua`s frames: a couple sipping tea nonchalantly as they watch the 9/11 tragedy on TV or a middle-aged man staring at a skimpily-clad mannequin on a shop window. His work is on display at museums across the world: The National Gallery of Modern Art in Delhi to National Museum in Liverpool, UK, the Museum of Civilization in Canada to Chicago Children`s Museum, US.The Victoria & Albert Museum, London, which holds the single largest collection of Kalighat paintings, has acquired and showcased his work in its touring exhibition across South Asia.